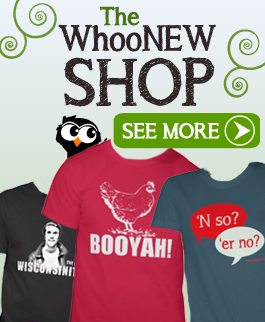 If you’re looking to show off your Wisconsin style, beyond the Badgers or Packers hoodie you’re wearing right now, WhooNEW.com can help you. We’ve rounded up a list of 10 awesomely unique items to assist you in showing your support for the 30th state. This paraphernalia is available for purchase through the handmade and vintage e-commerce site Etsy. Take a look, get your wallet out, and prepare to fall in love with this rad Wisconsin-themed merchandise. This item is perfect for the music aficionado. Hand cut and made to order, I’m not sure how you can pass up vinyl in the shape of the Badger State. 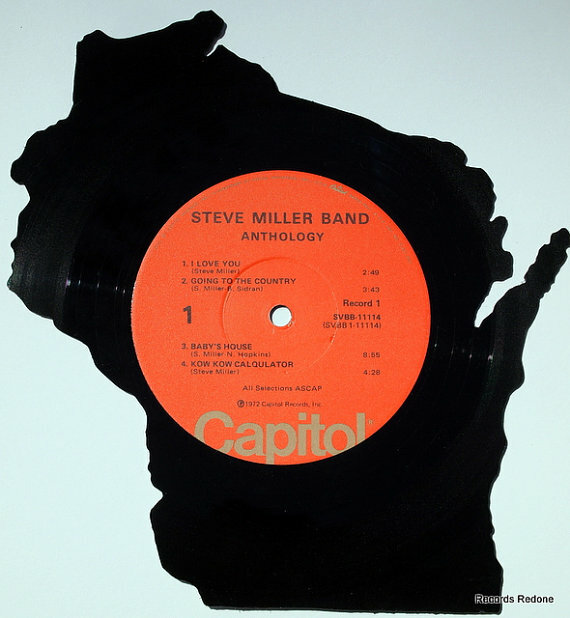 On top of that, it’s made from a record with Wisconsin roots – The Steve Miller Band. Beer me! I’m in love with this print. 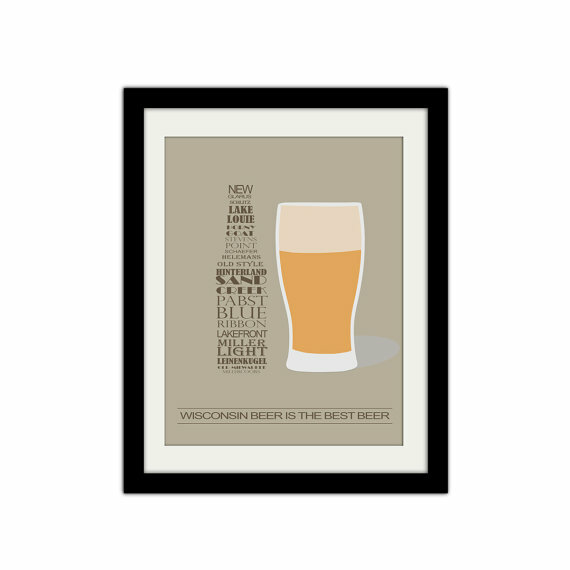 With the names of notable Wisco beer makers such as New Glarus and PBR forming the shape of a bottle, this piece of artwork would hang nicely in any respectable basement bar. There’s something about old maps that can add a touch of class to any living space. This 1930’s map is no exception. 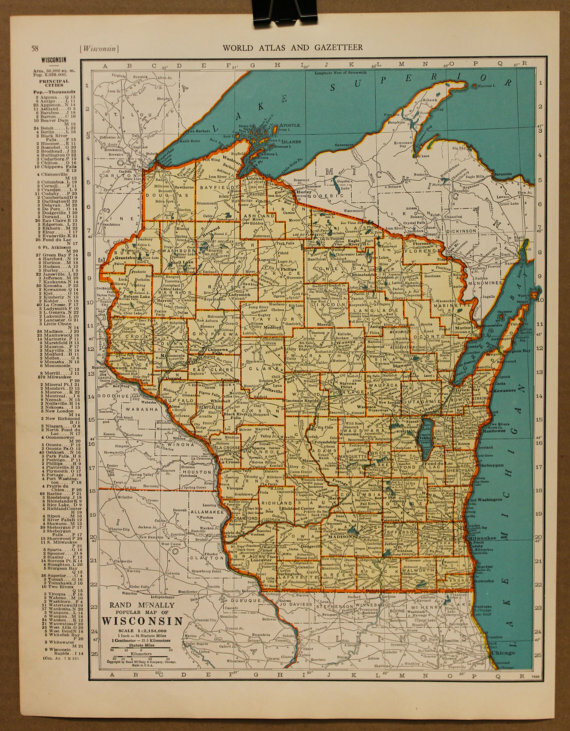 The survey of the state we love comes from an old atlas and measures 11 x 14 inches. So even if your walls are a little crowded, I’m sure you’ll be able to find room for this fine print. The items on this list aren’t just for your abode. This charming pendant will let you take your Wisconsin style out into the world. 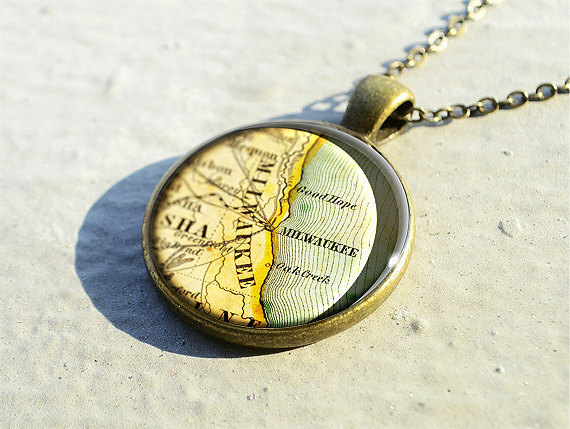 Heck, you could even wear this necklace across the border to show Illinois how cool we are. Another way to show your devotion to the Dairy State is by putting a ring on it. 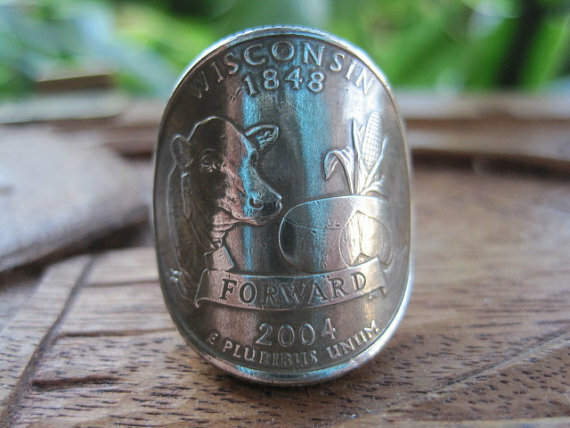 Made from a 2004 Wisconsin quarter, this simple piece of jewelry would also make a great gift – a token of appreciation. This is by far one of my favorite items on this list. 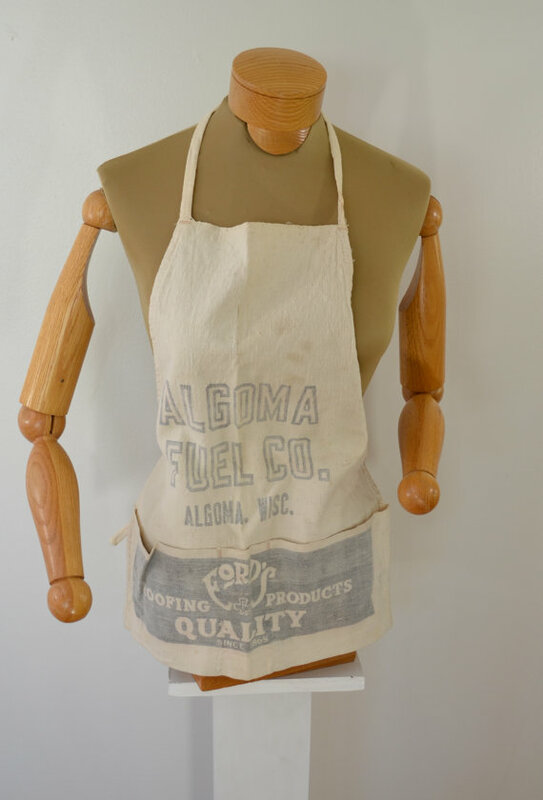 Just think about how cool you’d look baking treats or working on your art in this vintage work/advertising apron from Algoma Fuel Supply. From the 40’s or 50’s, this smock is a must own for anyone from the Lakeshore community. Wisconsin is by far the cheesiest state. And who can fault us for lovin’ a little cheddar? It’s scrumpalicious. 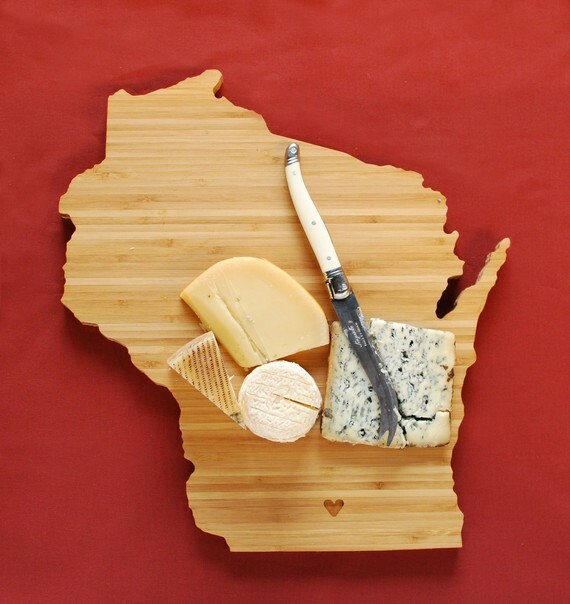 So if you want to wow your Sconnie friends and have a gouda time, break out this Wisconsin-shaped cutting board at your next party. I guarantee your buddies will be ordering one too. When life gives you lemons, make lemonade. And you can do that with this classic piece of Wisconsin pottery. 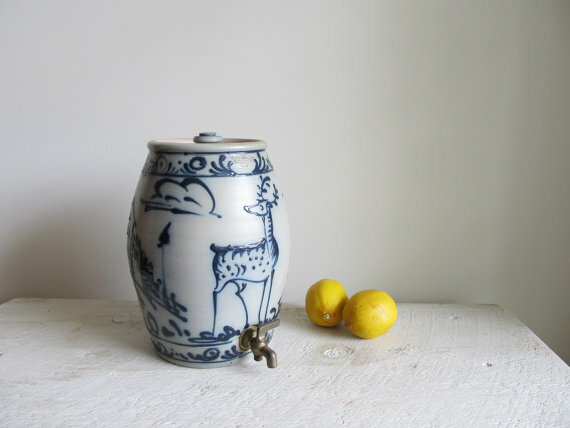 Dated 1990, this one-gallon water cooler comes from Wisconsin Pottery in Columbus. 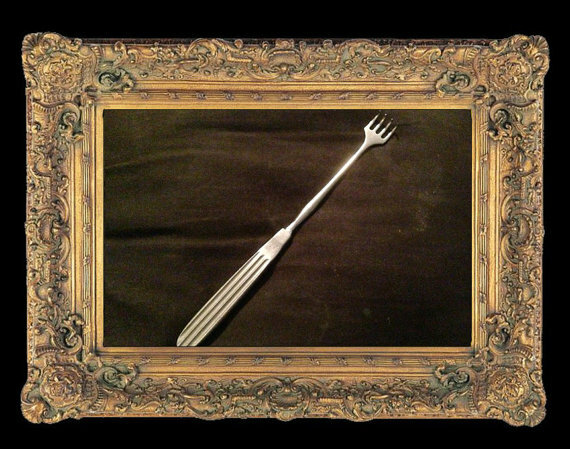 If you’re looking for something on the macabre side, don’t look past this surgical rake from Wisconsin State Hospital. That’s one of the facilities Ed “The Mad Butcher” Gein was housed at. Rake retractors are surgical instruments used to hold back organs or the edges of an incision. 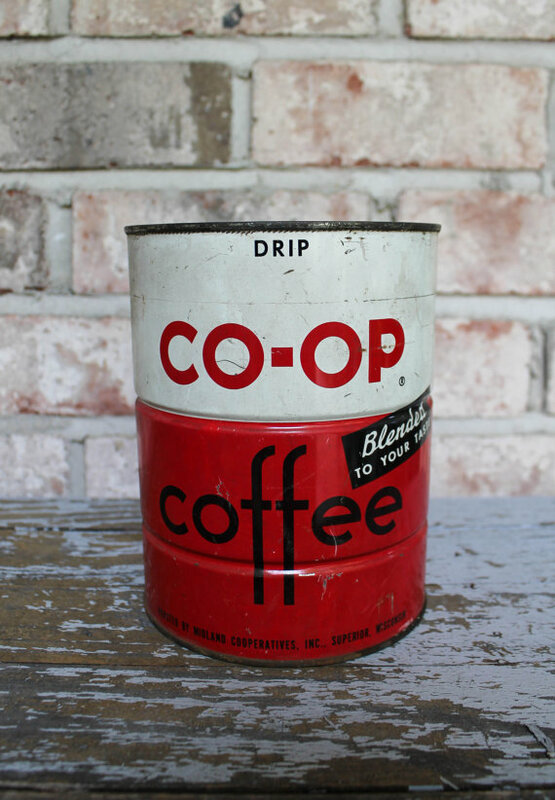 An interesting medical item from a facility with a fascinating history. 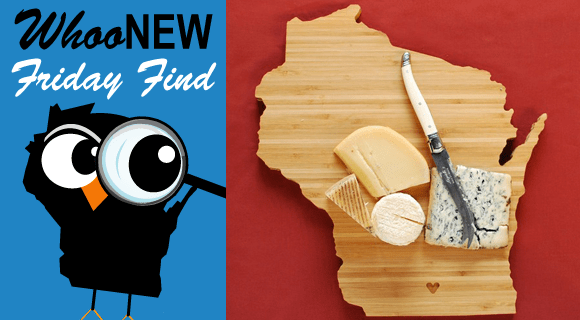 What’s your favorite Wisconsin-themed item on this list or elsewhere? Tell us in the comment section below. And if you liked this story, Like WhooNEW on Facebook! 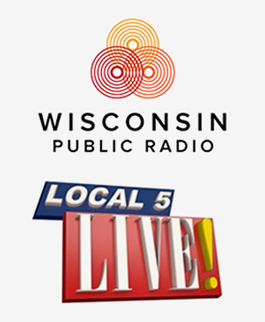 We’ve got a lot more interesting articles about life in Northeast Wisconsin coming your way soon. 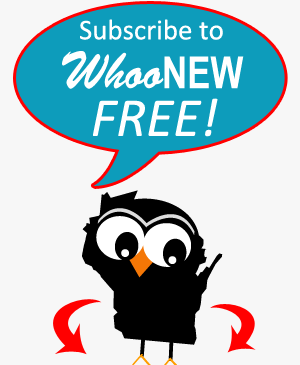 You can also subscribe by email so you’ll never miss anything.